Mark Glaser reportedly wanted to open “a Scottish and Jewish restaurant bearing the name McKosher” in the New South Wales town of Maclean, where he has an office. The town prides itself on being the Scottish capital of Australia and even boasts tartan telegraph poles. His request led to a trademark fight with the fast food operator McDonald’s. Glaser’s application was rejected this week by the Australia Trademark Office, which noted there was a likelihood of contextual confusion, the Australian Broadcasting Corp. reported. 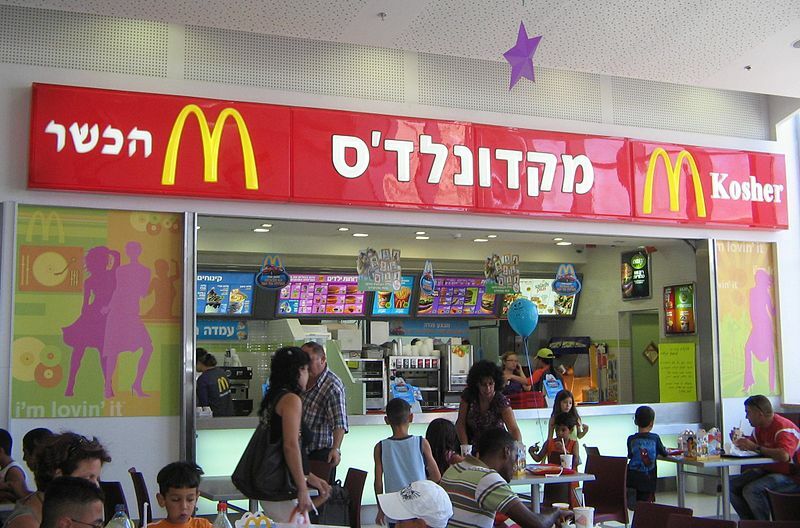 Attorneys for McDonald’s at a hearing held last week in New South Wales involving the Australia Trademark Office were told that the Jerusalem rabbinate is in negotiations with the international McDonald’s headquarters requesting the use of the name McKosher for the chain’s kosher-certified branches in the city to avoid confusion over those that are not kosher. Glaser told the hearing he was of Scottish Jewish descent and his ancestors’ surnames included McKosher, MacAdoo, Beadle, Zimmerman and Rosenthal, according to the Australian Broadcasting Corp. He did not respond to JTA’s request for comment.